Sarabeth T. Bradley has the skills and experience needed to represent you well. Whatever your legal needs may be, she will be able to handle your case to get you the results you deserve. She has a wide network of resources she can call upon for your case. Sarabeth makes every effort to explain the legal process and your rights, providing you with options to best solve your legal issues. She is a skilled negotiator with an effective track record both inside and outside the courtroom. When you retain her services, you meet directly with her. You can speak candidly about your situation and what you want to accomplish. She will put your needs first and work to find a resolution that protects your best interests. Sarabeth specializes in Family Law, including but not limited to Divorce, Child Custody, Spousal Support, Partition of Property, and any domestic issue, Wills, Successions and Estates, and Civil Litigation. She is experienced in litigation in State District Court, State Appellate Courts and Federal Court. For representation you can trust, call her today! I have lived in Mandeville, Louisiana, for most of my life. I took what I like to call the “scenic route” to get where I am today. I got married and had my first child, Russell, before enrolling in college to obtain my undergraduate degree. During my four and a half years in undergrad, I had my second child, Isabella, and then got divorced. I remarried and had my third and final child, Ava James. After having Ava, I decided to finish pursuing my childhood dream of becoming a lawyer. Being an attorney has always been my final career goal. I just took the longer route to enjoy the view on the way to my destination. I have now arrived, and I love practicing law! I graduated law school in 2014, and immediately took an associate position with William M. Magee’s firm. I have now started my own practice, and I look forward to helping you with your legal issues through my unique experience and perspective. I believe clients should be treated with the kindness and respect they deserve, and my goal is to do just that. I return telephone calls and emails promptly, and I tend to act quickly once a decision has been made to move forward. I am not easily intimidated and can be aggressive when it is appropriate. I am honest with my clients and expect the same from them. Knowledge is power, and whether the information is good or bad, it is always better to know in the beginning. I welcome an opportunity to meet with you and discuss your legal issues. 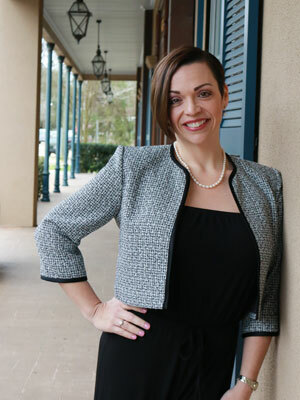 Please feel free to contact me for an appointment at (985) 888-1874, (985) 773-0764 , or email me at sarabeth@stbradleylaw.com. I’ve had Sarabeth assist with 2 separate cases and couldn’t ask for a better lawyer. She provided everything necessary and made sure it was all correct to avoid any delays in my divorce, and another civil case. When advice was needed, if she wasn’t available at the time, she always returned my calls/ emails in a timely manner. I recommend her to everyone that I know looking for legal assistance, and will continue to do so.